The history of Villanova College is rooted in the long and rich history of Catholic education throughout the world. As an Augustinian school, we are buoyed by the traditions of the educational philosophy and mission of the Augustinian schools established in North America since 1842. The story of Villanova College is unique in that it began with the faith of a small group of 'founding families' and continues today through the dedication of its faculty and support of its parent community. Through its academic programmes and the activities of the school in all areas of school life, students are formed in unity, truth and love. 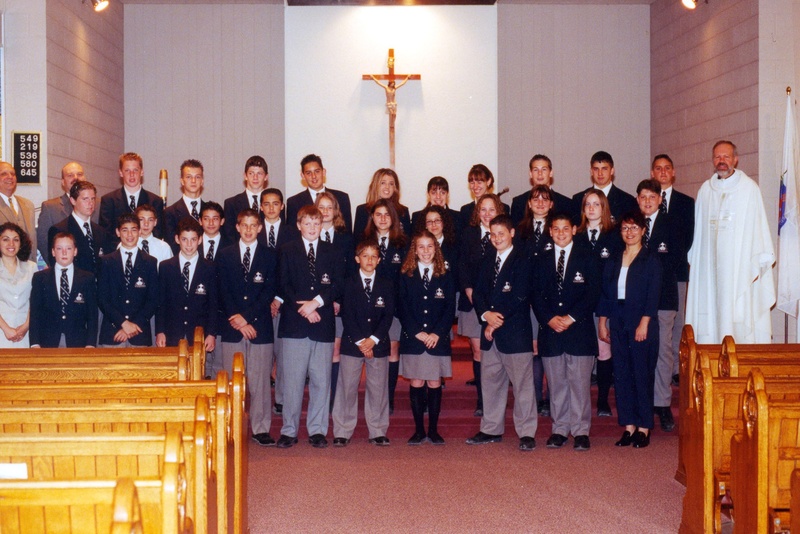 In 1998, a 'not-for-profit corporation', St. Thomas of Villanova Catholic School was established and the School leased thirty-three acres as part of the historical Catholic campus at Marylake. In the spring of 1999, twenty-six students were registered in grades 7, 8 and 9. That September, coinciding with 'Secondary School Reform', they began this part of their education in the only fully independent, Catholic school in Ontario, since the mid 1960's. On September 7, 1999, Villanova College opened its doors in its first temporary home at Sacred Heart Parish Hall in King City. On Monday, January 24, 2000, the founding classes and families moved into to the 12,000 square foot school on its thirty-three acres at Marylake. Within three short years the need to begin the construction of a permanent facility was apparent. In September 2002, Phase 1 of the School which included 14 academic classrooms, a cafeteria, kitchen and a 10,000 square foot gymnasium was completed. That was followed in 2003 with the completion of Phase 2 of the eventual plan- 14 additional academic classrooms . Today, the School has over 120,000 square feet of academic and athletic space and is home to over 550 students. In June 2003, Villanova College celebrated its first graduates. The twelve members of the Class of 2003 were the "First of Many" graduating classes. Today, Villanova has over 1000 alumni who have attended the best and most competitive post-secondary programs across Canada and the world.